While Memorial Day is a day to remember, our proximity to Arlington National Cemetery (ANC) and its gravesites offer regular reminders of sacrifice. The Kennedy gravesite and the Tomb of the Unknown Soldier are two of the most visited sites on this hallowed ground. 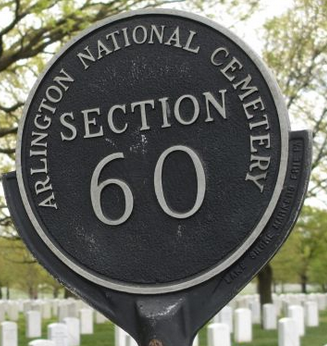 Section 60, memorializing those whose sacrifices occurred in America’s most recent wars, is another iconic part of the cemetery. Since 1921, with the burial of an American soldier from World War I, the Tomb of the Unknowns has been a monument dedicated to American service members who have died without their remains identified. As the final resting place for Unknown Soldiers from World War I, World War II, Korea and Vietnam, the Tomb represents all missing service members who made the ultimate sacrifice. In 1998, the remains of the Vietnam Unknown were exhumed. DNA testing revealed the identity as Air Force 1st Lt. Michael Joseph Blassie, who was shot down in Vietnam in 1972. The Vietnam Unknown crypt remains vacant, with the cover inscribed, “Honoring and Keeping Faith with America’s Missing Servicemen, 1958-1975.” Scientific advances mean it is unlikely there will ever be an unknown servicemember. Tomb Sentinels are soldiers who guard the Tomb 24 hours a day, 7 days a week. They are assigned to the US Army 3rd Infantry Regiment, “The Old Guard” stationed at Fort Myer, Virginia. While ANC has more limited hours for visitation, there is and has been a guard in front of the Tomb at all times since 1937. The Sentinel path is 21 steps, alluding to the honor of a 21 gun salute. Many tourists try to time their visit to observe the changing of the Tomb guard on the half hour in the summer and on the hour in the winter. Since 1973, Arlington Ladies have attended funerals to ensure that no deceased member of the United States Military is buried alone. Army, Navy, Air Force and Coast Guard volunteers pay homage to those who have served, while a representative of the Marine Corps Commandant attends Marine funerals. Since military service is often a family experience, the presence of an Arlington Lady reminds the bereaved that their loved one’s service to the United States is not forgotten and that the entire service family shares in the loss. The mission of Arlington National Cemetery is ongoing. In cold, heat, or storm, Tomb Sentinels walk and bear witness to the price of freedom.